The Devil is in the details and, in this case, the details are continuous topstitching. Even an expert sewist can get bedeviled by details. I usually blog about advanced/expert sewing but this blog reviews some basics that were brought home to me while sewing an apron for a gift. It’s an easy-peasy project–no fitting, no curves, no seams, just pressing and topstitching–lots and lots of topstitching. Above is the finished Tamari apron, a The Sewing Workshop pattern. Looks good, right? A good press job and a little distance makes any garment look good–a maxim to remember. Seems I can always find fault with anything I sew and know it’s a common fault among sewists. A little perfectionism can go a long way but perhaps you can learn from my mistakes. I know I will. This problem is not with sewing skills, but not thinking ahead, nor taking the time to thoroughly read the pattern instructions. 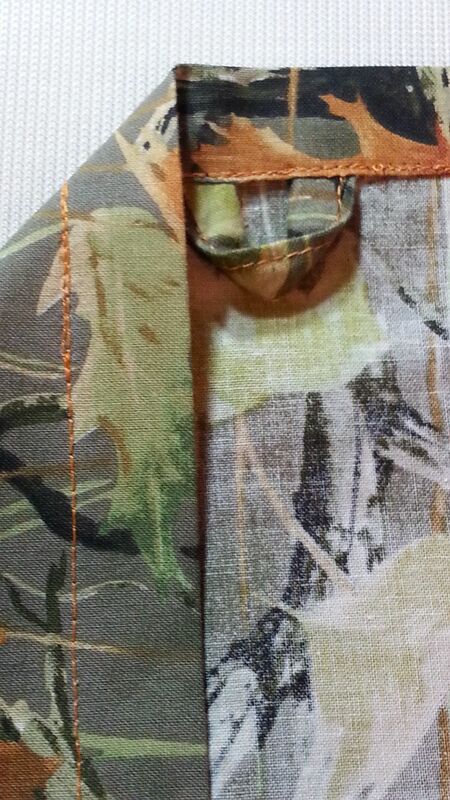 My issue is with the topstitching which is on all four sides, the pocket, and the ties. The first three are just fine. 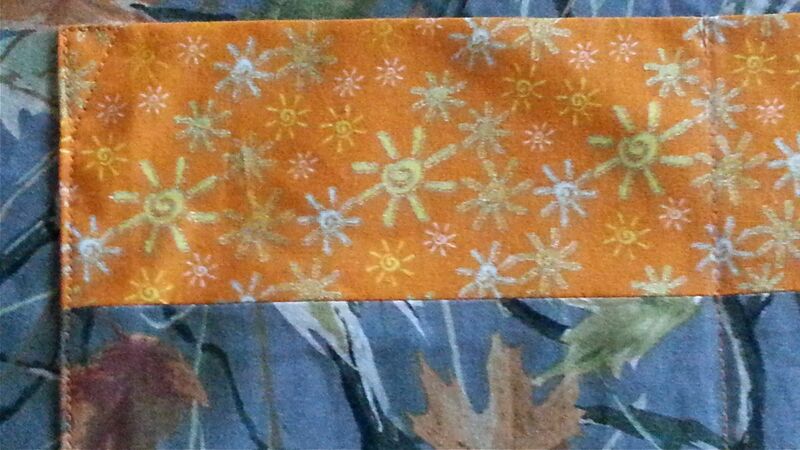 Where I messed up is in not thinking ahead; I topstitched all the hems before attaching the ties. So, I had to open up the topstitching, insert the ties and loop under the hem and then restitch. 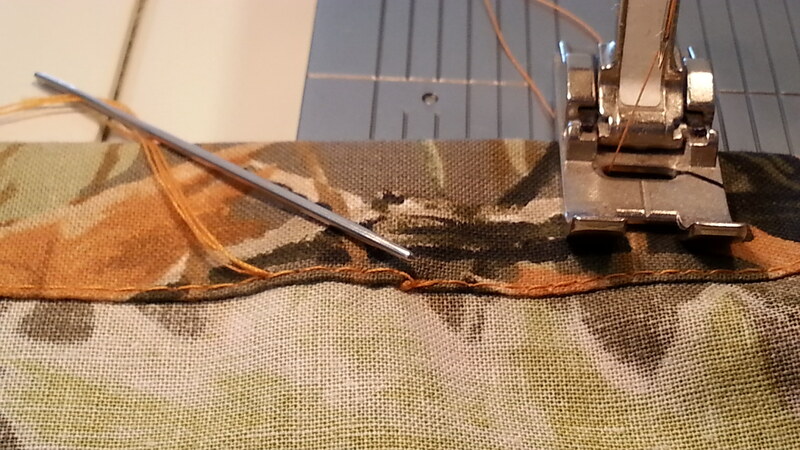 There is no disguising overstitching and it is not a pretty sight. Yes, I know, from a distance it is not visible, and if anyone is that close to inspect the stitching, they are invading personal space. 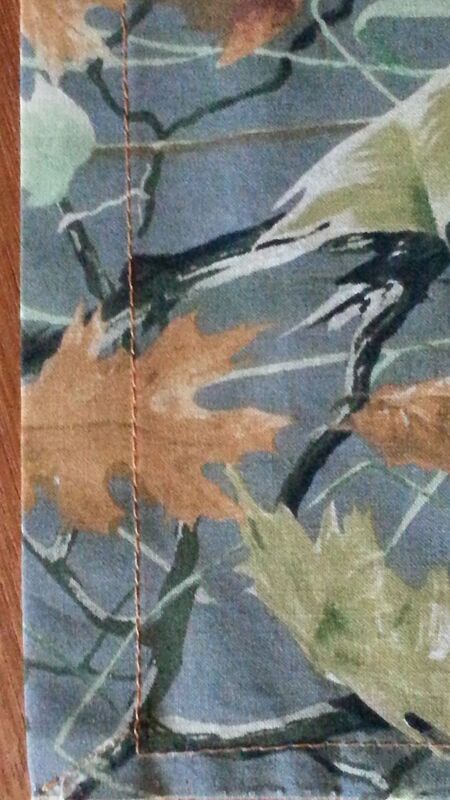 That said, the lack of fore sight resulted in a break in continuous stitching and the overstitching fix is ugly. Not to mention the extra time and wear to the tooth enamel–much gnashing of teeth! 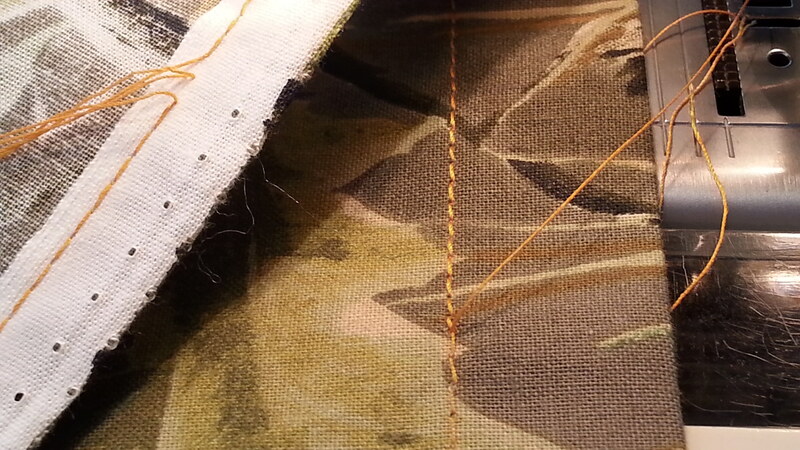 The overstitch results in double stitch rows at both ends of the repair–not pretty. This is why backstitching is not a good idea and is one reason why it is NEVER used in couture sewing. Short of removing all the topstitching, I overstitched, but began and ended the repair in an exact needle hole of the original stitching. Remove stitching. From wrong side, on both ends of repair, tug threads until loop of other thread appears, insert a pin into loop and pull thread end to wrong side (left). Begin repair by inserting machine needle into exact needle hole of original stitching; stitch to end of repair, ending with last stitch in exact needle hole of original stitching. 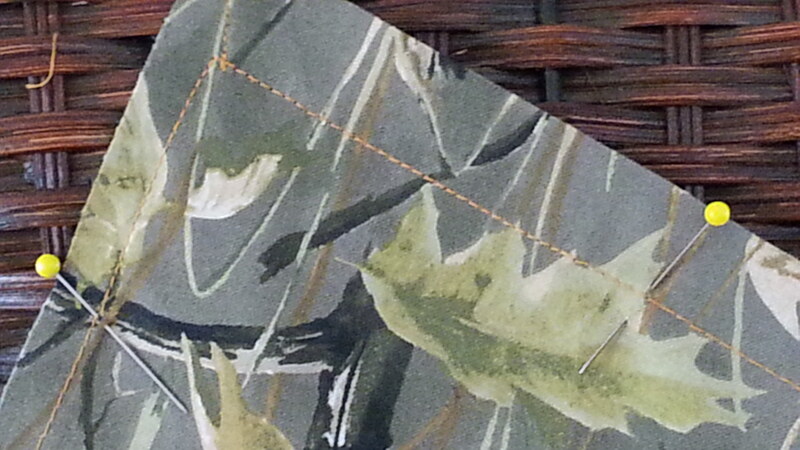 On the wrong side, knot all four thread ends and then bury in hem using an embroidery needle. Needle points to the knot. Press to lock threads together. May seal knot with Fray Check. If you have another/better fix, please let me know. This entry was posted in FIBER FASHION FUN and tagged accurate sewing, apron, continuous stitching, overstitch, Tamari apron, topstitching. Bookmark the permalink.